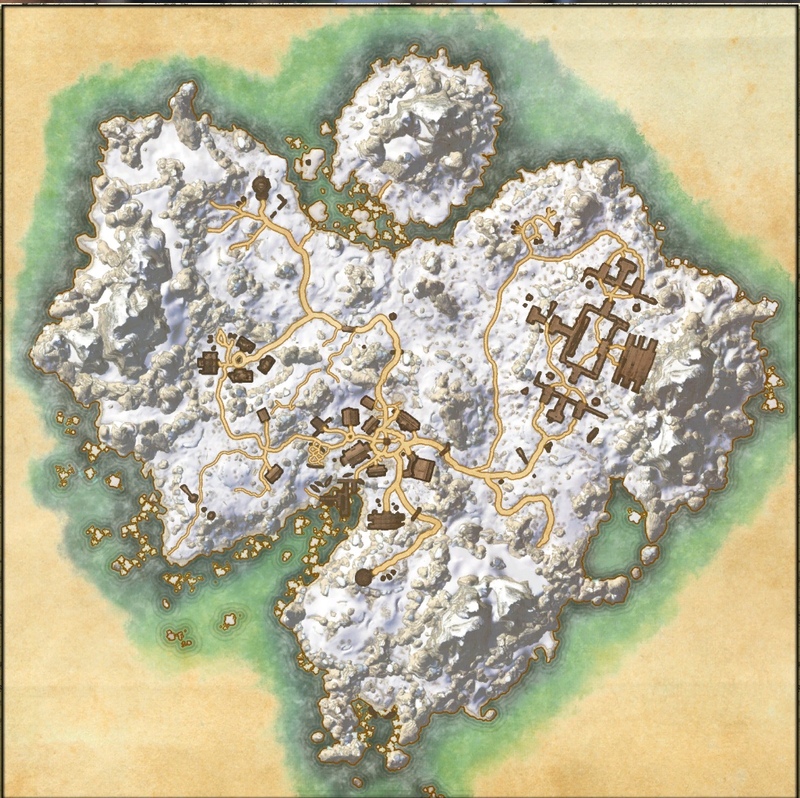 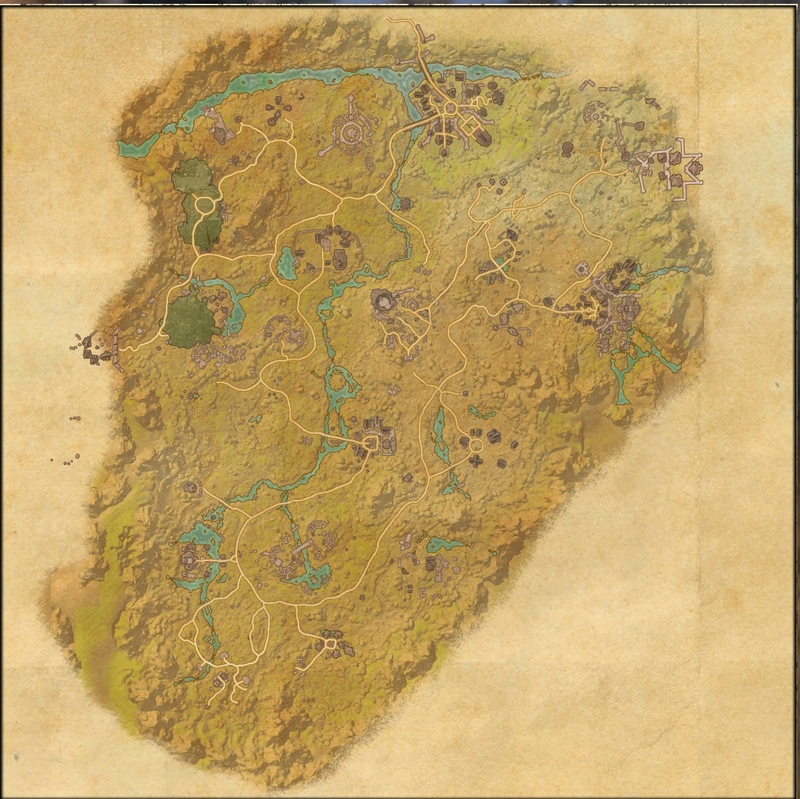 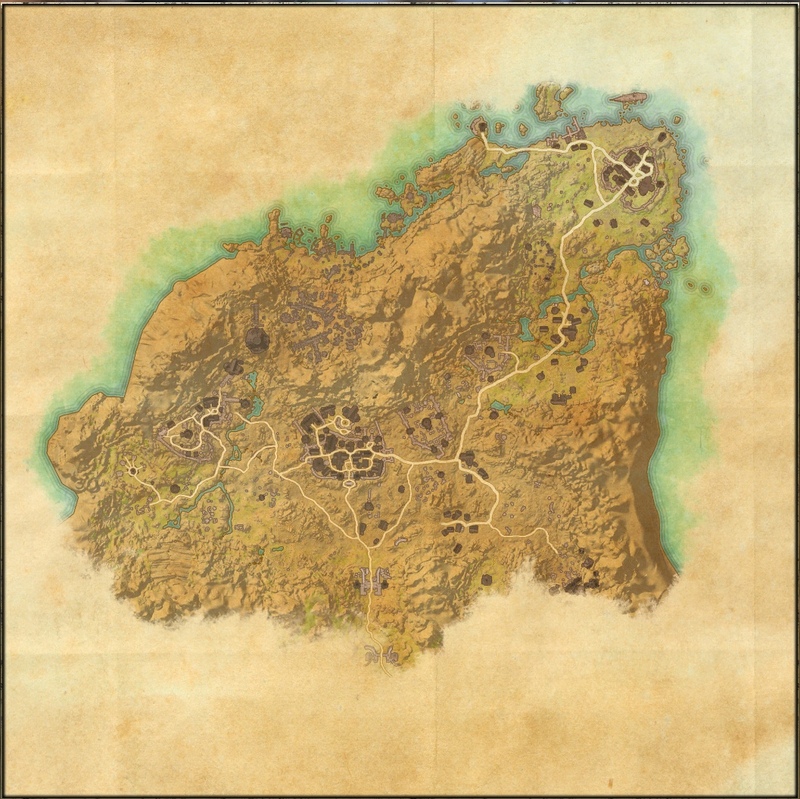 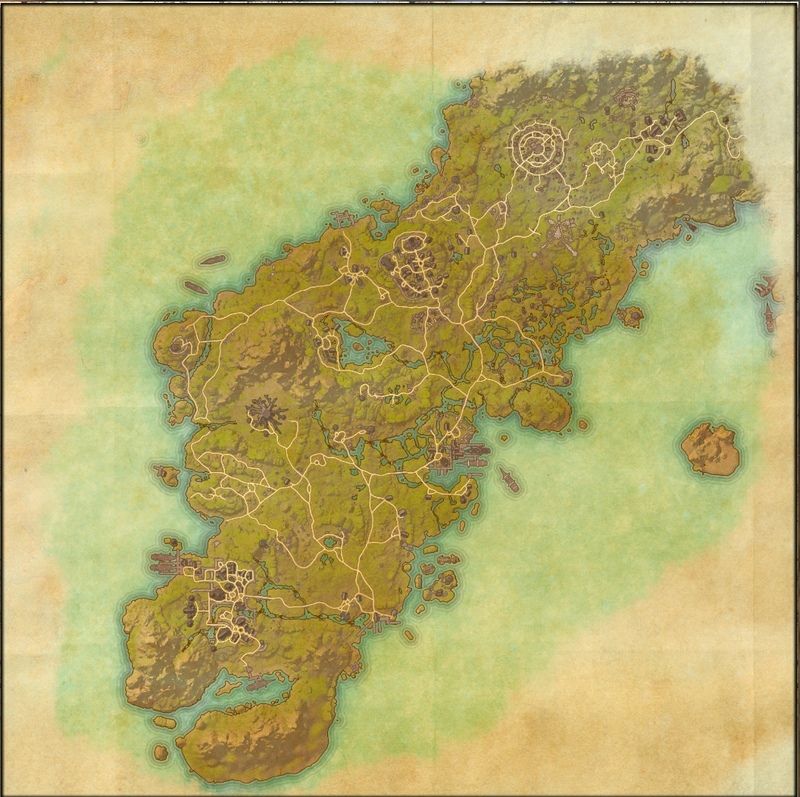 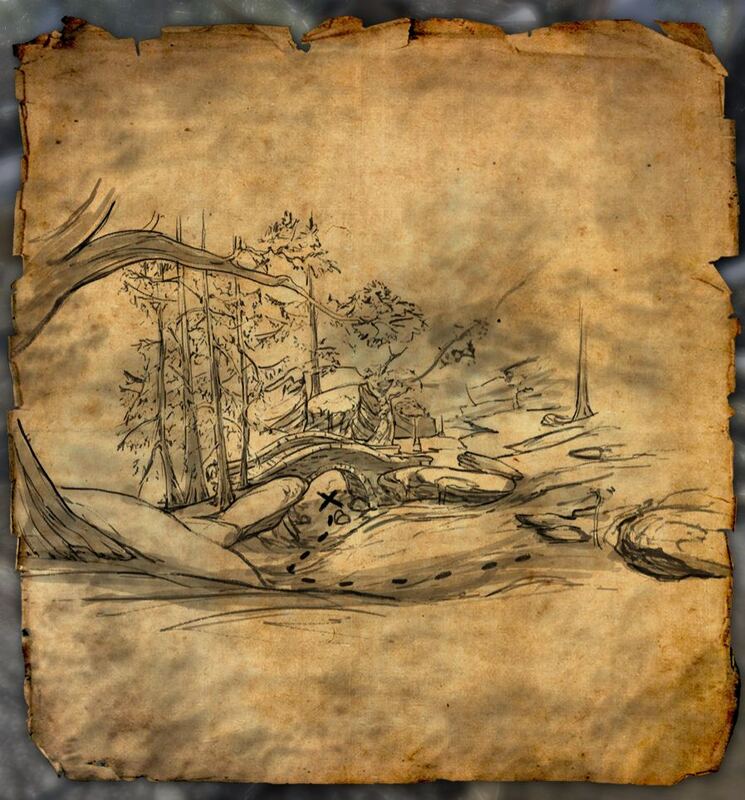 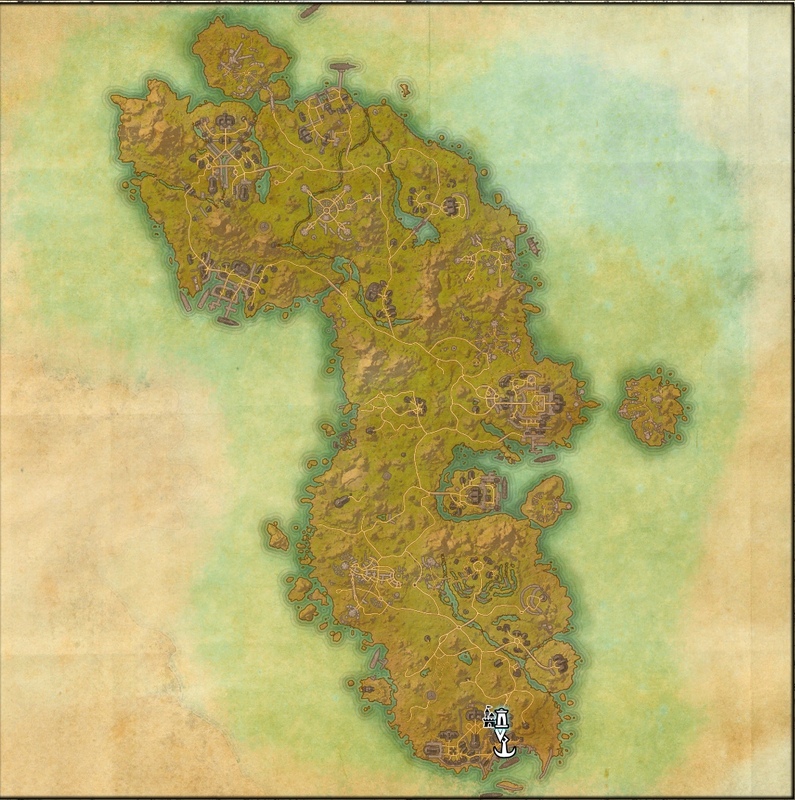 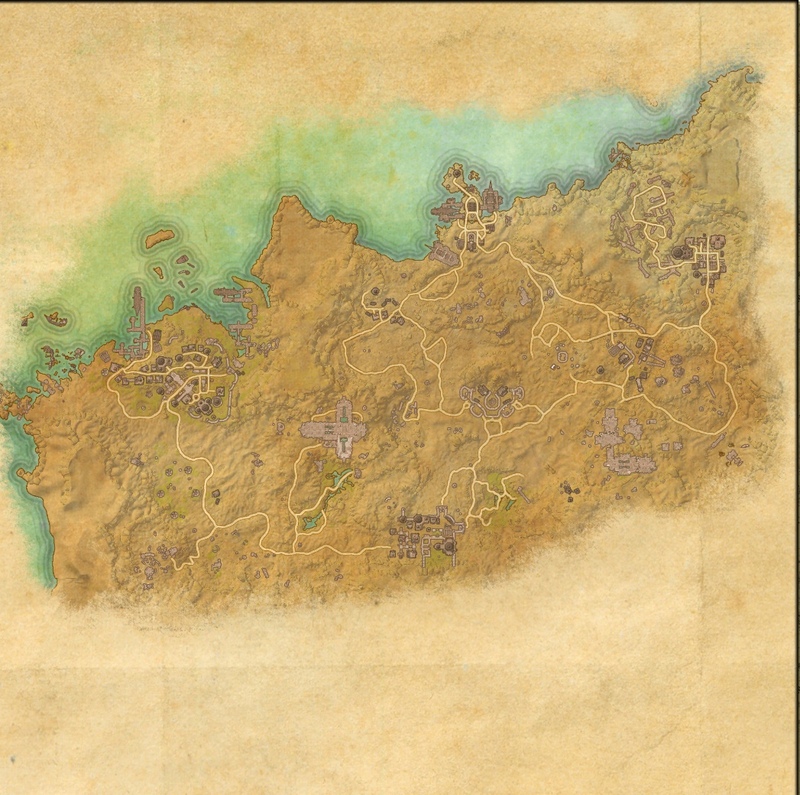 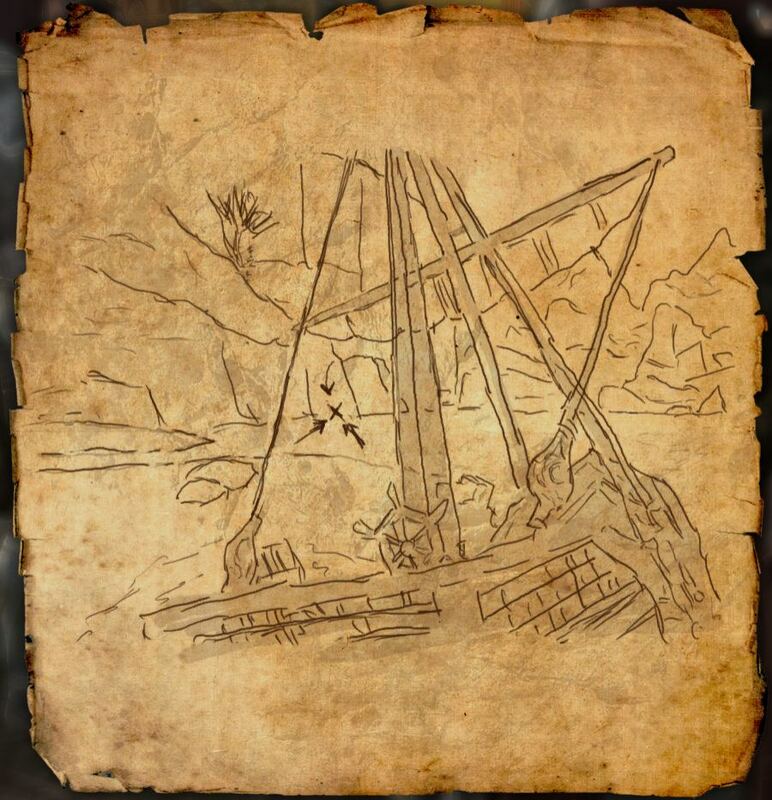 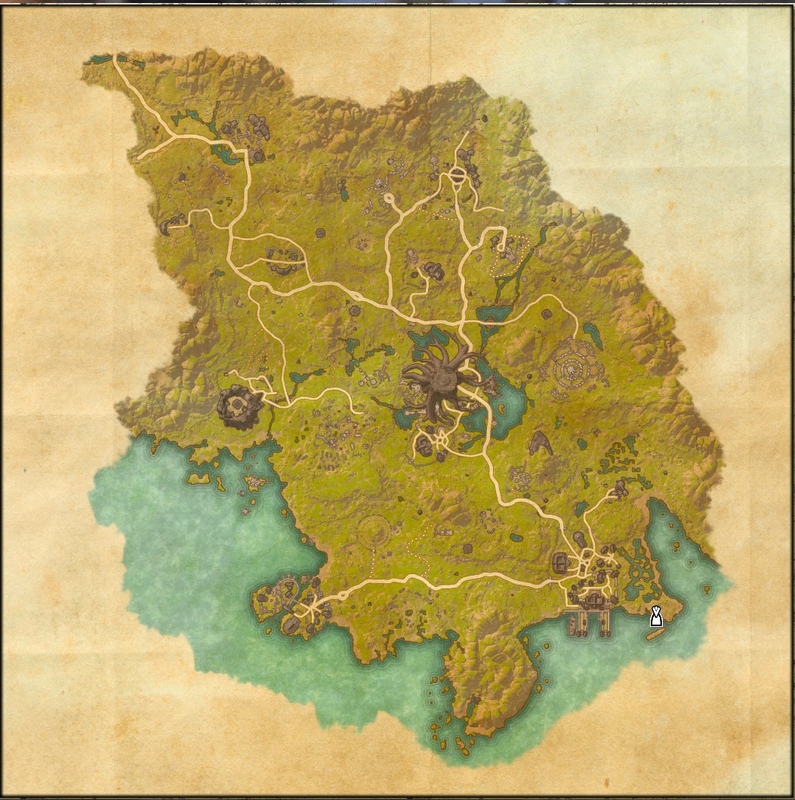 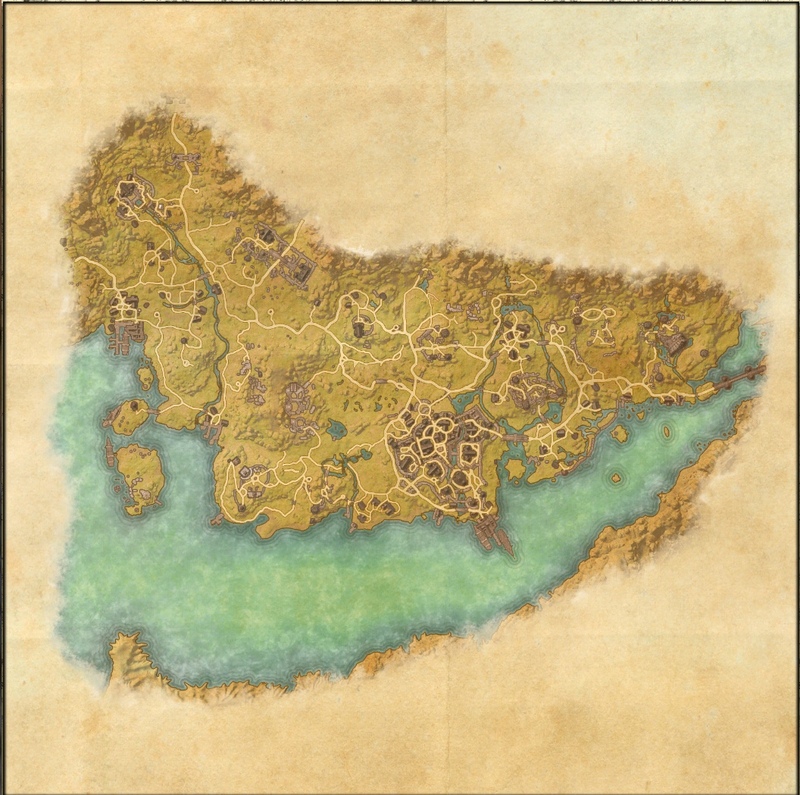 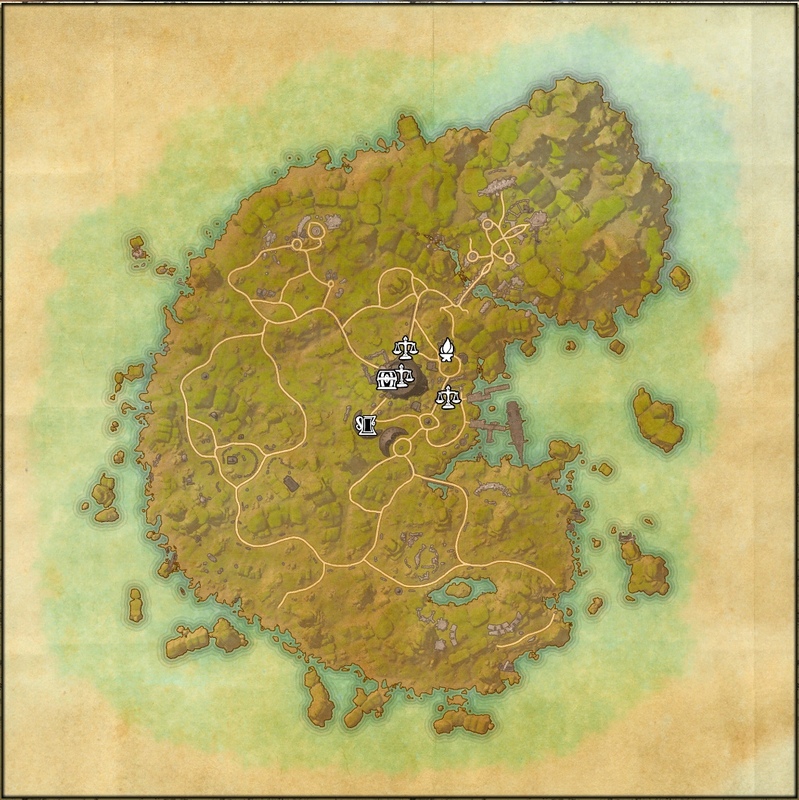 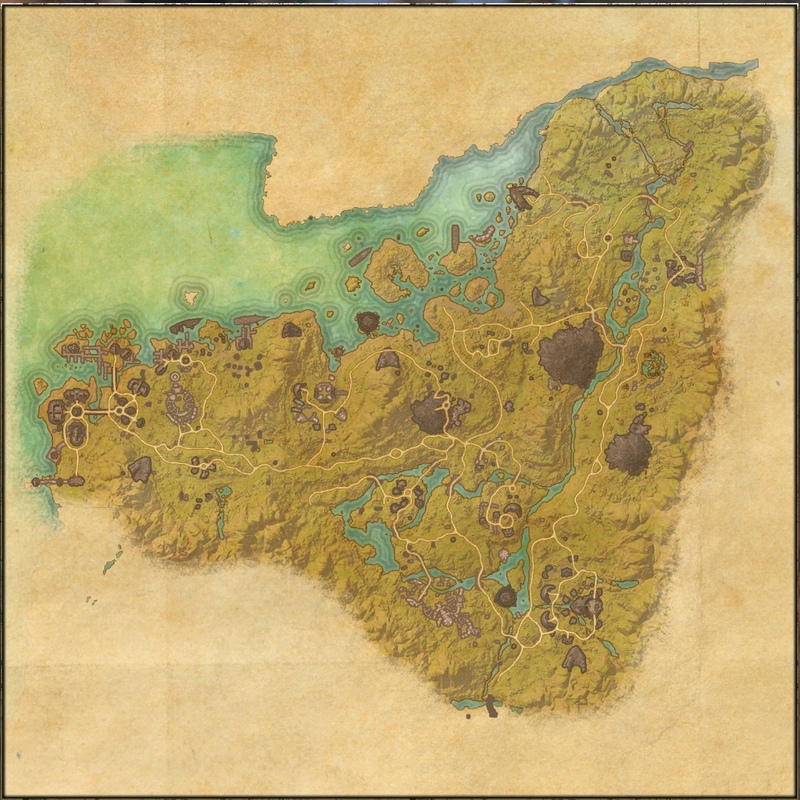 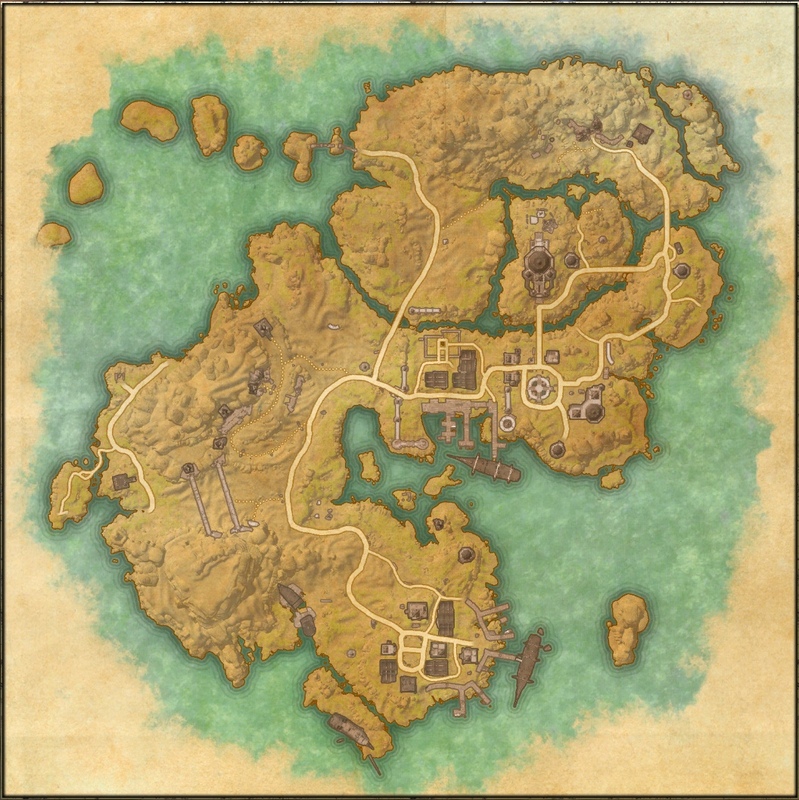 If you go to the starter island for Daggerfall Covenant, Stros M’Kai, and look at the map, you’ll notice that there is no bank listed. 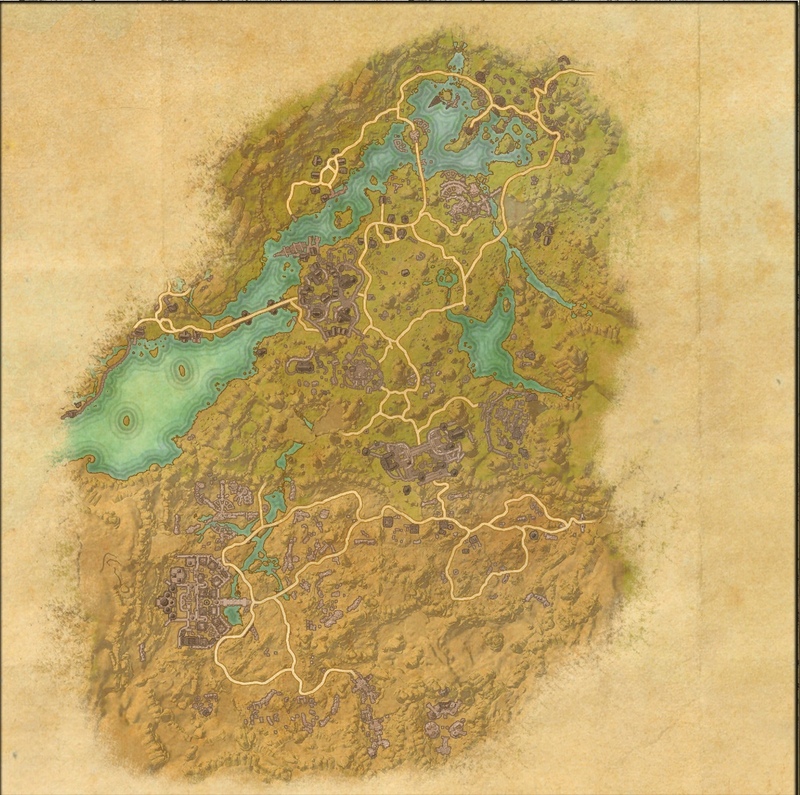 Because of this, more than once, I’ve traveled via wayshrine back to Glenumbra to deposit my stuff into the bank and then traveled back to Stros M’Kai to work on quests. 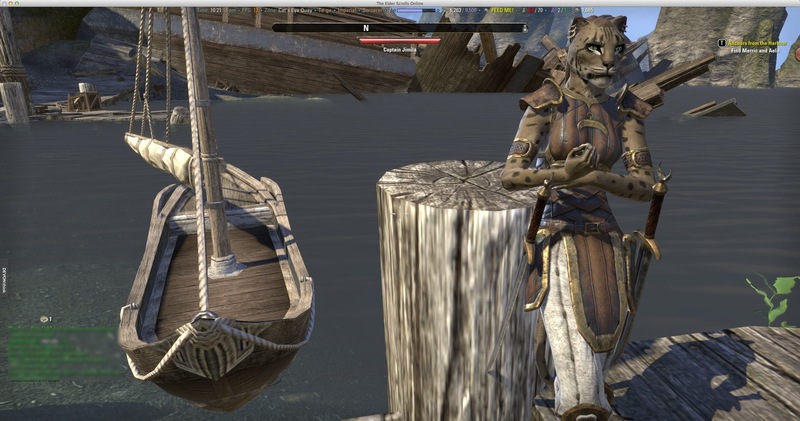 This morning I was visiting Port Hunding’s Open Market place in Stros M’Kai. 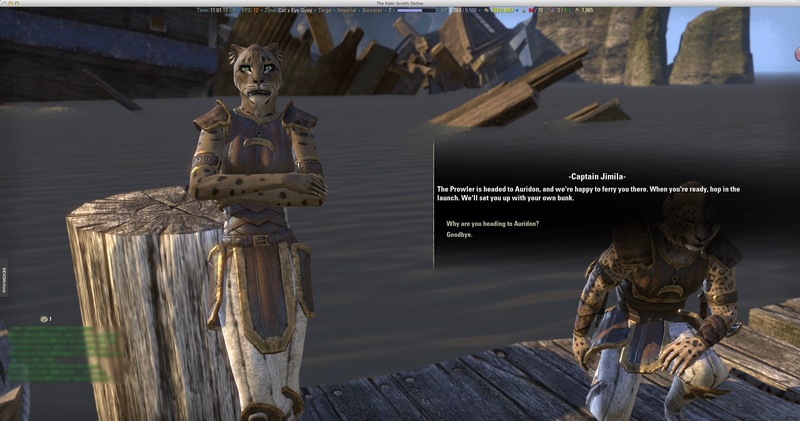 I had just stopped at the Clothing Station and I was about to head to the Woodworking Station, but I needed to sell some items. 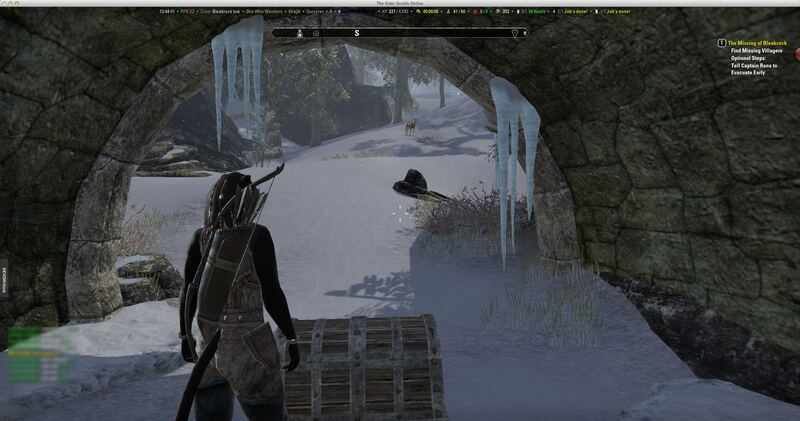 Imagine my surprise when the NPC I clicked on wasn’t running a store, but had a bank instead. 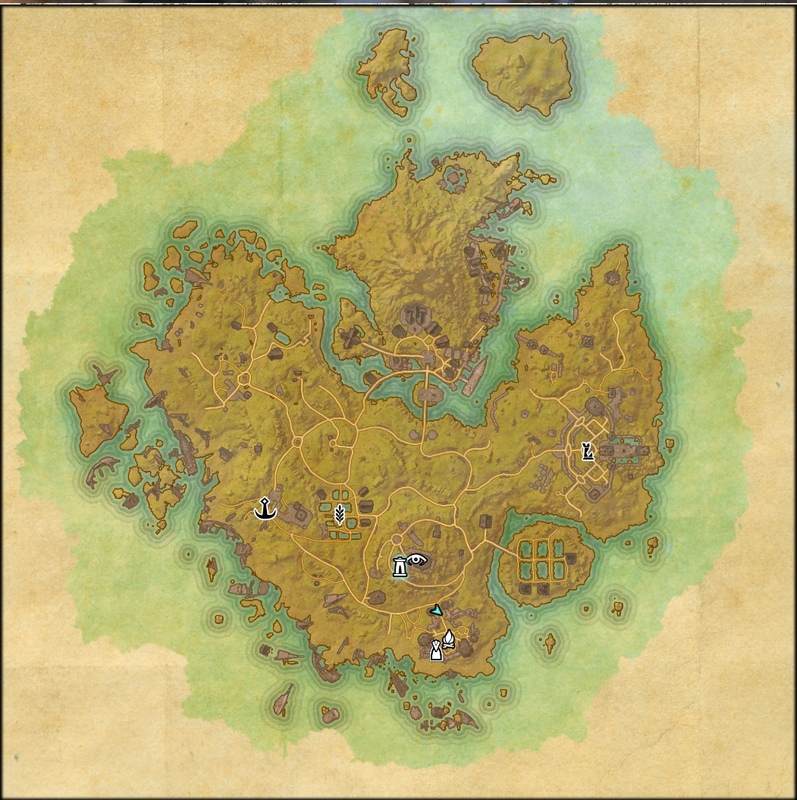 If you look at the icons on the image above, you’ll notice Lurgonash gro-Dugronk (second from the bottom) has an image by his name that isn’t isn’t on the map legend I’ve shared before. 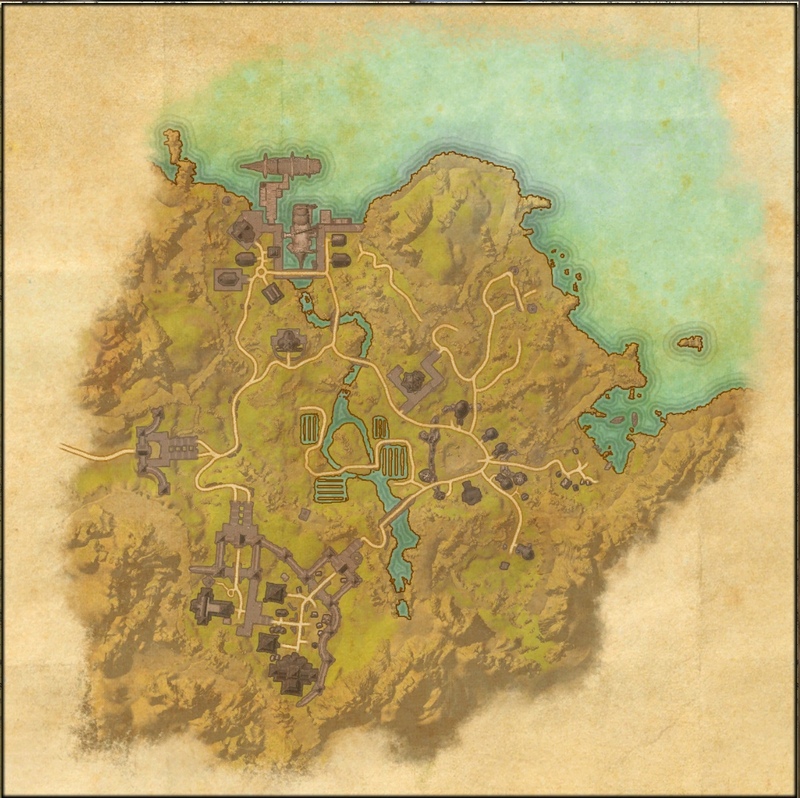 My guess is that perhaps this was the original icon for banks and it wasn’t changed until later, but it was never corrected on this map. 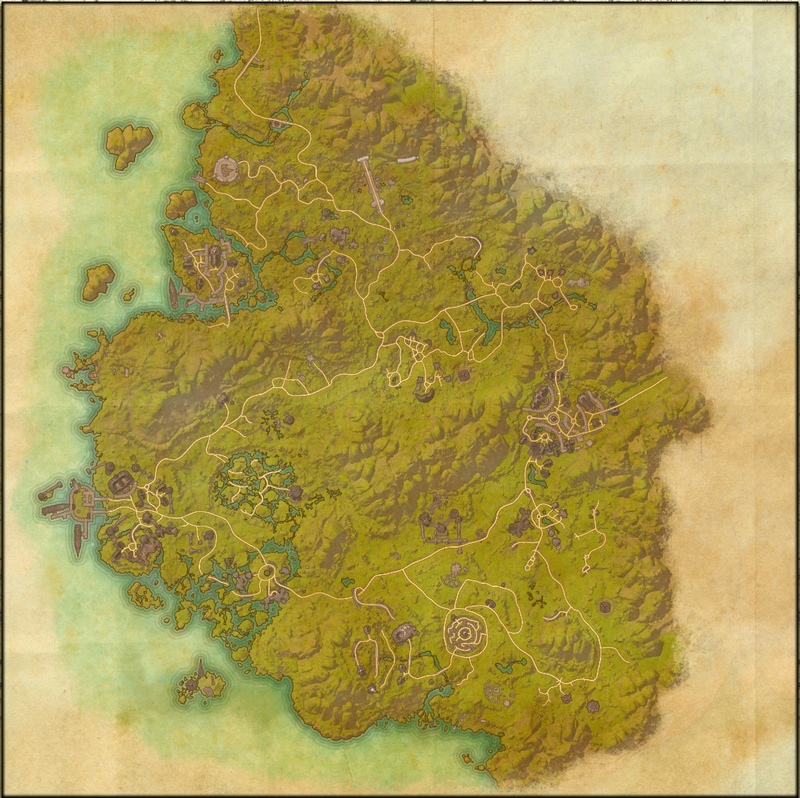 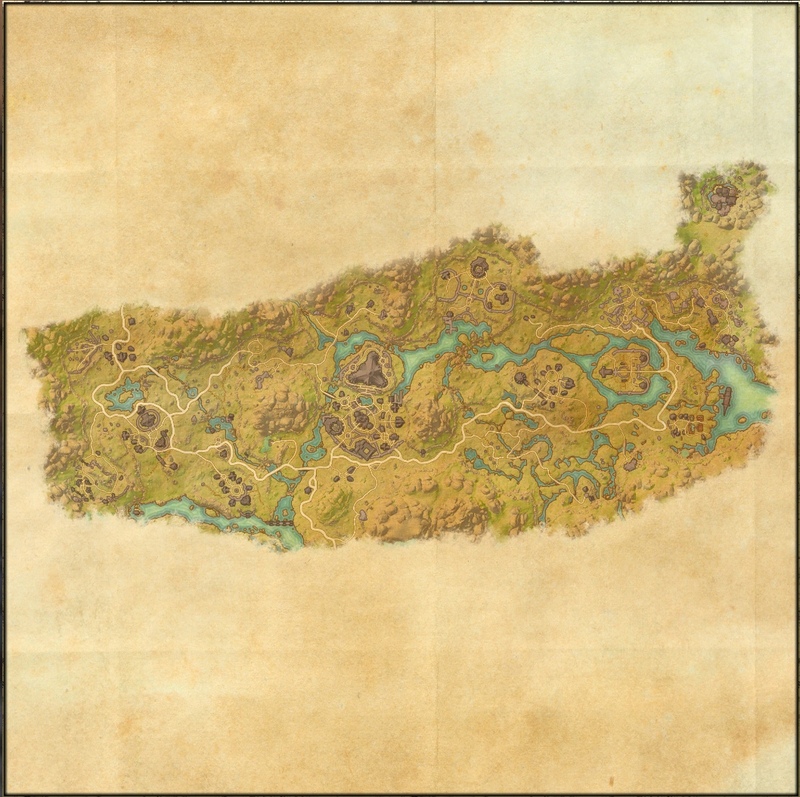 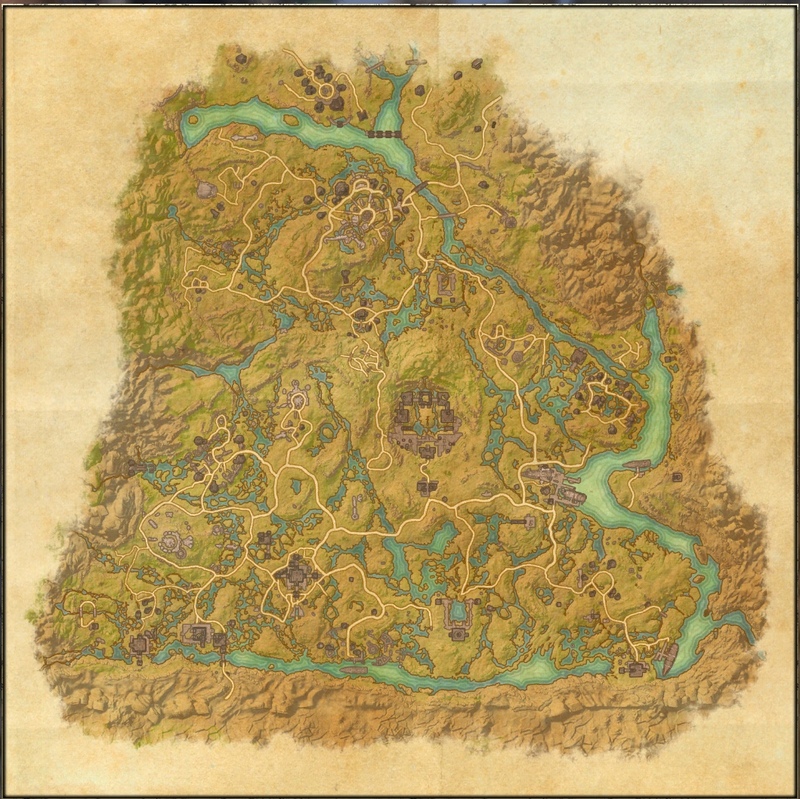 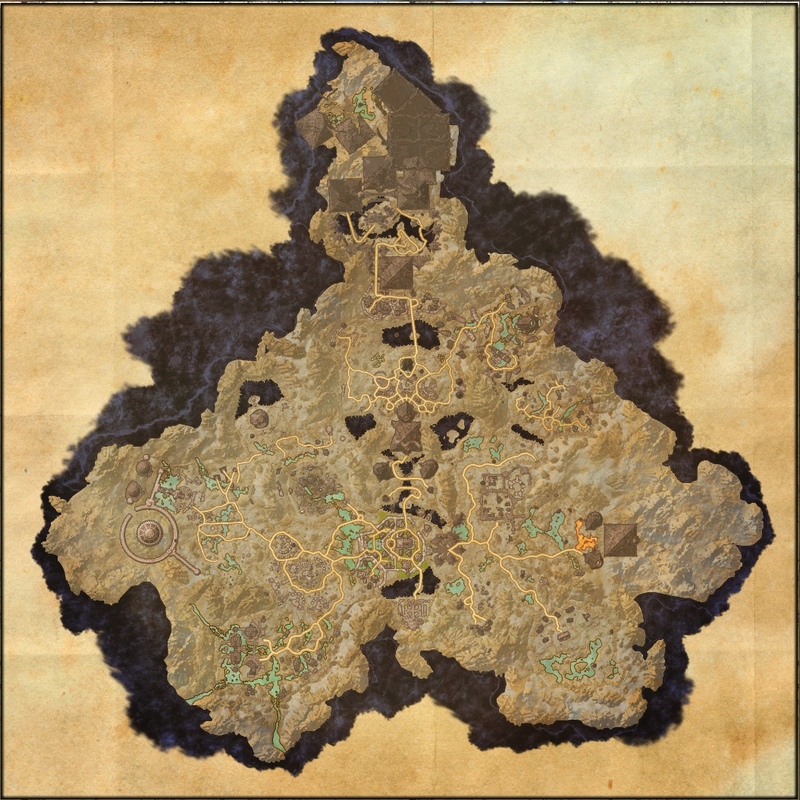 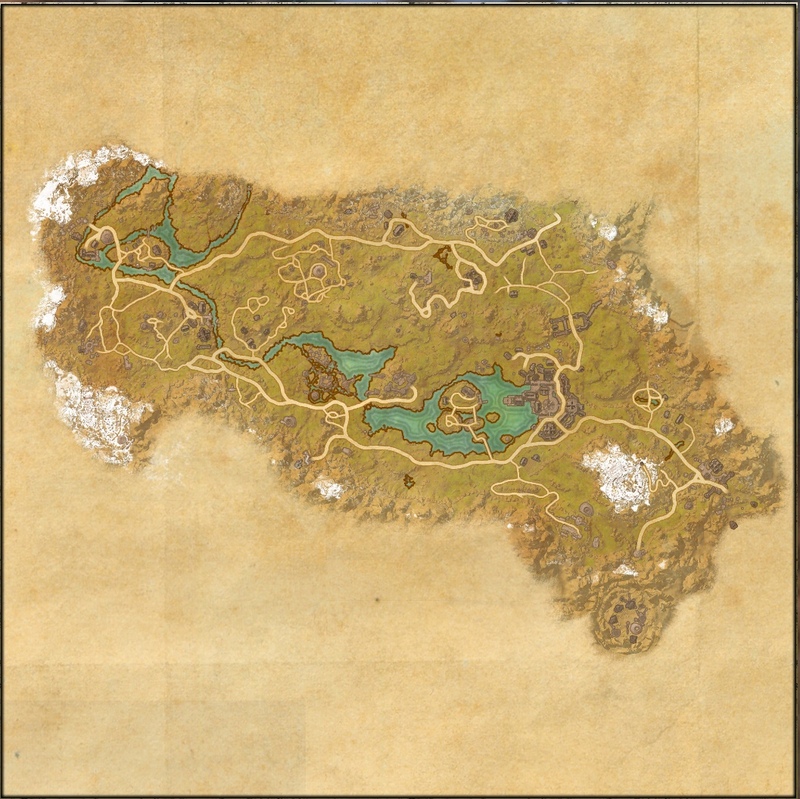 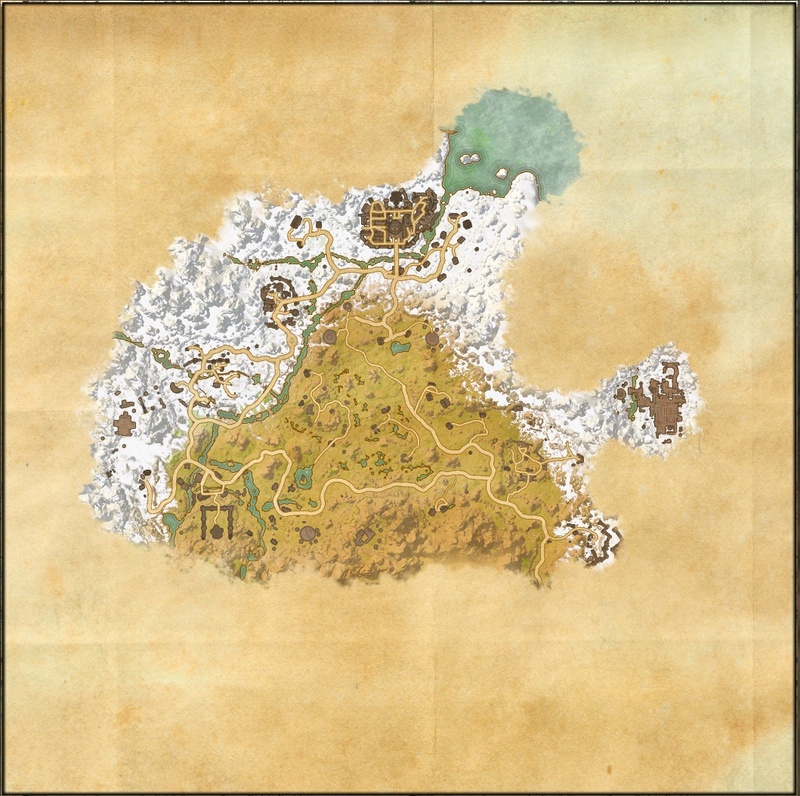 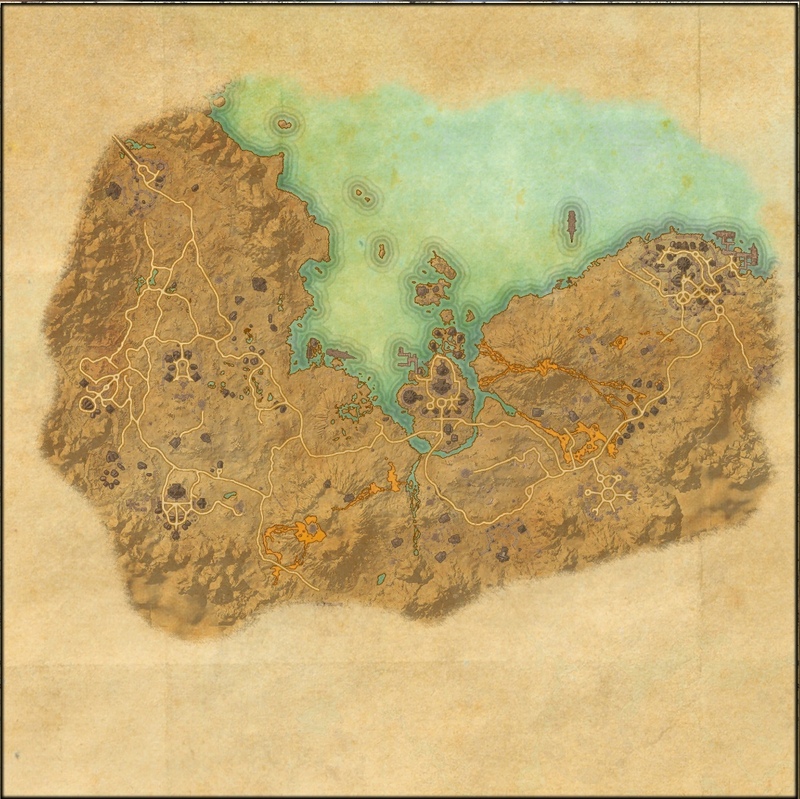 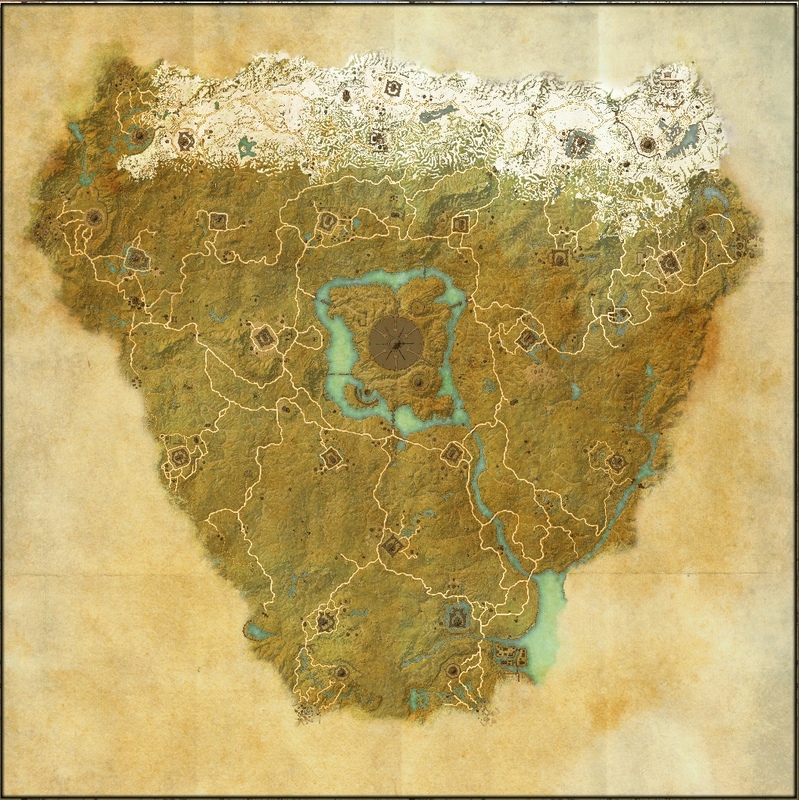 This is the set of maps that can be pulled up by using the Map function. 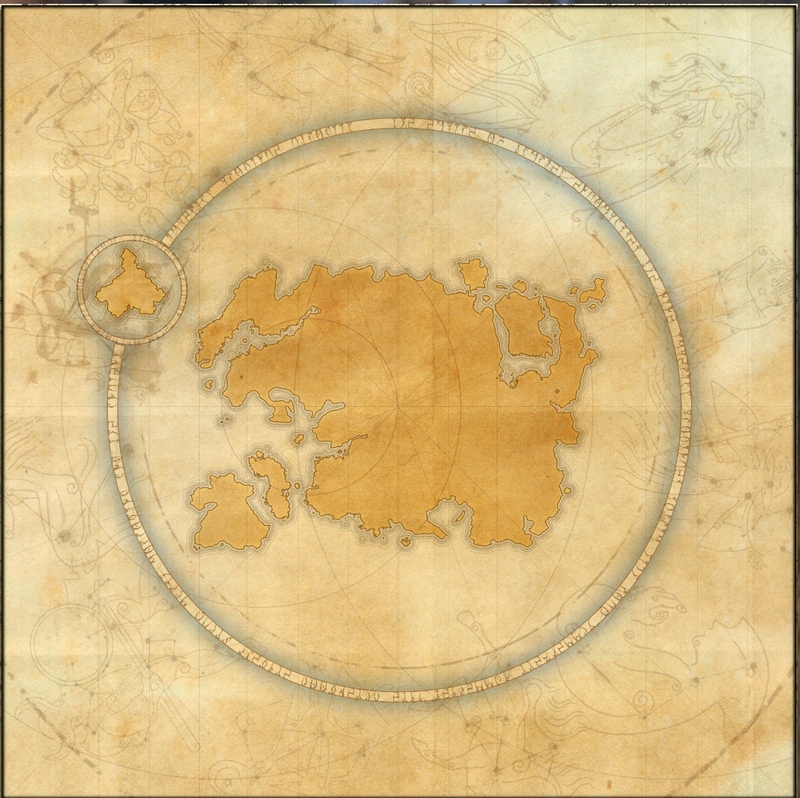 None of the treasure maps (a bonus for purchasing the Imperial set) are included. 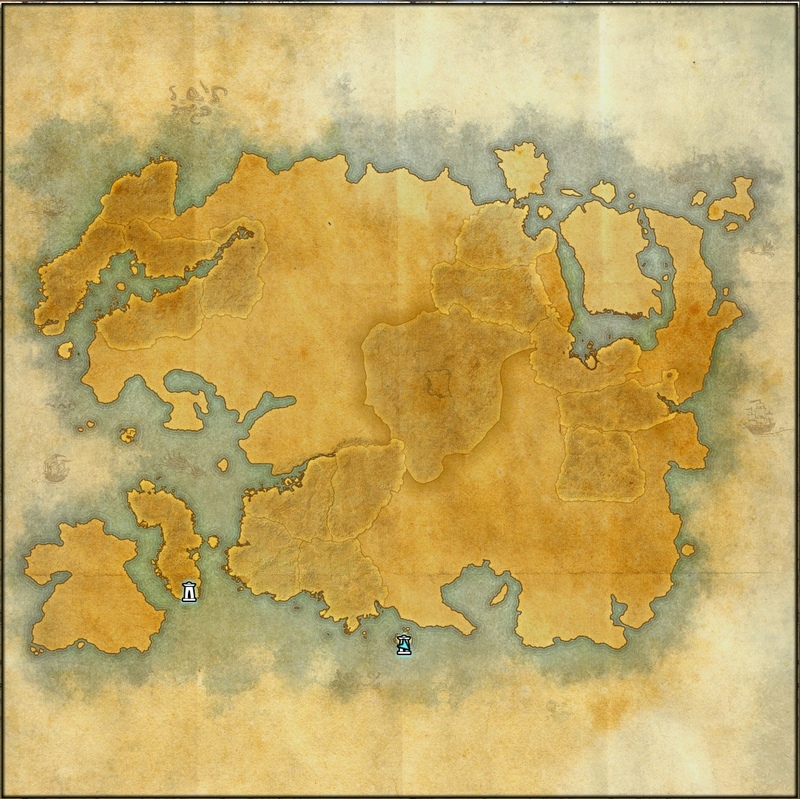 Most of these maps show no markings, the one or two that do are early level quests (I took the shots with a level 5 character). 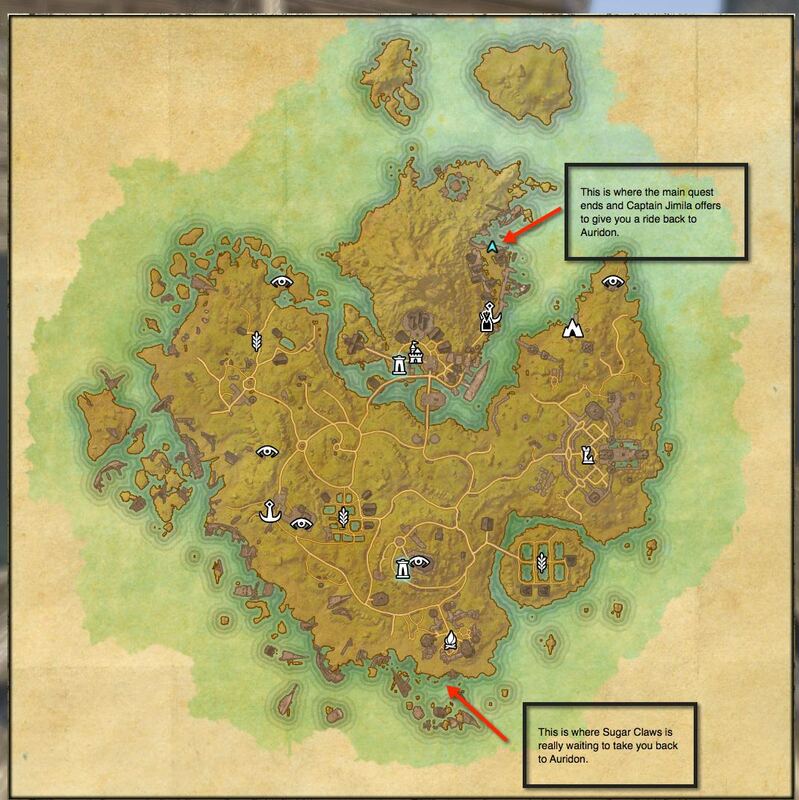 As always, click on the picture to enlarge it.